Last month, Lisa From the House of the Fox Dogs awarded us our very first blog award. 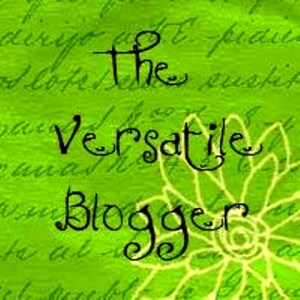 We’re honored to be recognized as a “Versatile Blogger” by this wise woman and fellow Shiba Inu forumite. According to the terms of acceptance, I’m supposed to share seven things about myself, and then pass the award along to 15 new or newly discovered bloggers. Well, I was sitting on this for the first-year anniversary blog post, but I’ve missed it by a couple days. Bah, close enough. Nobody’s keeping track, anyway. 1. Truth is, I did not grow up in a dog-savvy family. My parents consider dogs a time-consuming nuisance, and frequently cast judgment about what a dog-crazy fool I am. Cats, on the other hand, were acceptable for their compact size, cleanliness, and relatively independent nature. So the main housepets that I grew up with were three cats: Bubba (1988 ~ 1991, succumbed to feline urinary syndrome that my parents were too stingy to treat properly), Linus (1992 ~ 1996, died of stomach cancer), and Lucy (1992 ~ 2010, RIP). 2. When I was out of the house and old enough to assess what kind of dogs I really wanted, I found myself most drawn to Spitz breeds, Sighthounds, and Pariah dogs. These are not dogs I claim any expertise in, nor are my affections limited to these types. Dog blogging and breed forums remain interesting precisely for showing me how much I don’t know, and how much I can learn from others. 8 July 2011. 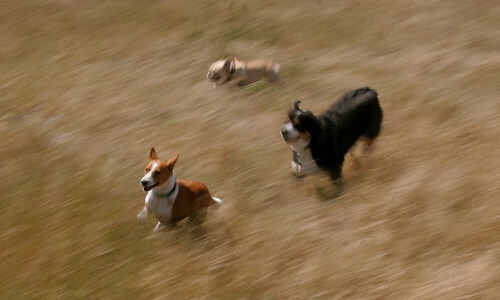 Basenji takes the lead. 3. English is not my first language. That would be Mandarin Chinese. I also read Chinese and ostensibly have passable literacy in modern Japanese after taking several years of classes. That is, give me a couple hours and a good dictionary or two, and I can roughly translate an academic article, a task that is thankfully not as pertinent to my current research as others scholars in my field. If you ask me to make conversation in Nihongo though, I’ll be struck dumb. Sometimes I still run into my old senseis on campus, and it’s all I can do to blurt a nervous greeting (full of honorifics and respectful endings, of course!) before I flee down the closest hallway. 4. Radio DJ-ing is another of my great loves. I’ve done years of freeform radio at WCBN 88.3 FM Ann Arbor and currently at KALX 90.7 FM Berkeley, where I’m known on air as The Native Disinformant. If you want to hear me live, we stream online and my current slot is every other Sunday night from 9 PM to midnight Pacific Standard Time whenever [edit: semester got too busy for me continue a regular show, so now I just sub randomly]. You can find my playlists at the latter station filed here. 27 February 2010. 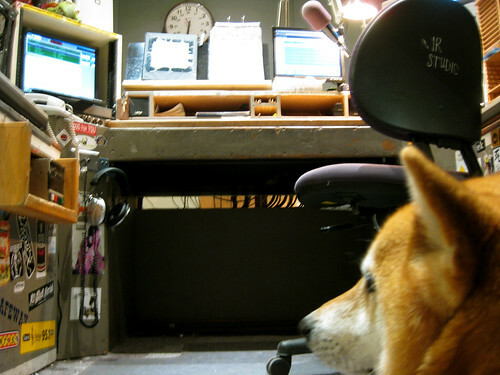 Dog is my Co-DJ. 5. Despite the volume of my blog output, I’ve got some reservations about how much personal information I want to share. I once had to file a police report on an online stalker who crossed the line by leaving hand-delivered packages at my dorm room, my workplace, etc. So I’m not in the habit of using my full name if I can help it. At the same time, I realize social networking sites like Facebook have irreversibly changed the nature of internet privacy since this incident occurred about… 9 years ago. It’s not hard to find out who I am, I just don’t have any interest in putting a face or real name to my words, even as I recognize there’s no use hiding on the internet. My activities here contradict my intentions, perhaps. So be it. 6. Wow, it’s hard to think of seven things I really want to share about myself after mentioning that. 7. I love where I currently live because it’s so dog-friendly, the weather is never extreme, and urban conveniences as well as natural scenery are all easily accessible. I have no trouble finding good food, music, film, pet products, and pet services (with the exception, perhaps, of a vet whom I wholly trust). The people and dogs are equally diverse. But we do pay to live in one of the most ideal(ized) areas of the world, and frankly, sometimes it gets depressing living amidst unattainable riches when I’ve been subsisting on grad student wages for as long as I have. Average time to degree in my field means I’ve still got… a few years left here. But after this, I’ve got to follow the jobs. Sometimes I think the dread of that Great Big Unknown is what keeps me from progressing in my program, taking refuge in long, scenic walks with the dogs instead. And sometimes, I think that the dogs are the main reason I’m still here at all, because they give me incentive to work hard so that we “deserve” our place in paradise. So there you have it. That’s me, M.C., checking in on the House of Two Bows’ first blog anniversary. In turn, I nominate these blogs for the Versatile Blogger award. Fifteen seems like an awful lot of blogs to tag, so I’m going to whittle my list down to… seven. That’s a good, arbitrary number. My guess is that only half of those tagged will actually participate anyway, so seven sounds about right. Maybe you will find something you like in this truncated list. If not, there’s plenty more on the side! Inu Baka. I’m supposed to nominate only “new” bloggers, but this was one of the first blogs that inspired me to keep plugging away here, so I couldn’t resist the nomination. A Winnie Day. 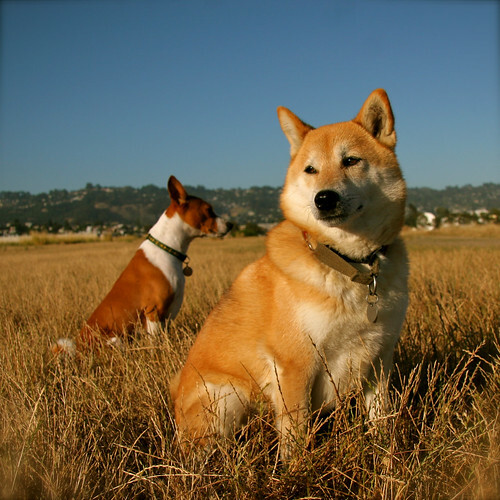 Another inspiration, from conquering allergies to establishing a viable Shiba rescue in SoCal. well don’t we all just know you better now?! thanks for the blogger award, congrats on yours! Thank you so much for the award! Congratulations on yours, we love your blog and enjoy every posting! Congratulations on the award! I definitely learned a few new things about you. =) It is pretty amazing that English is not your first language – you articulate so well with it! My hat off to you!